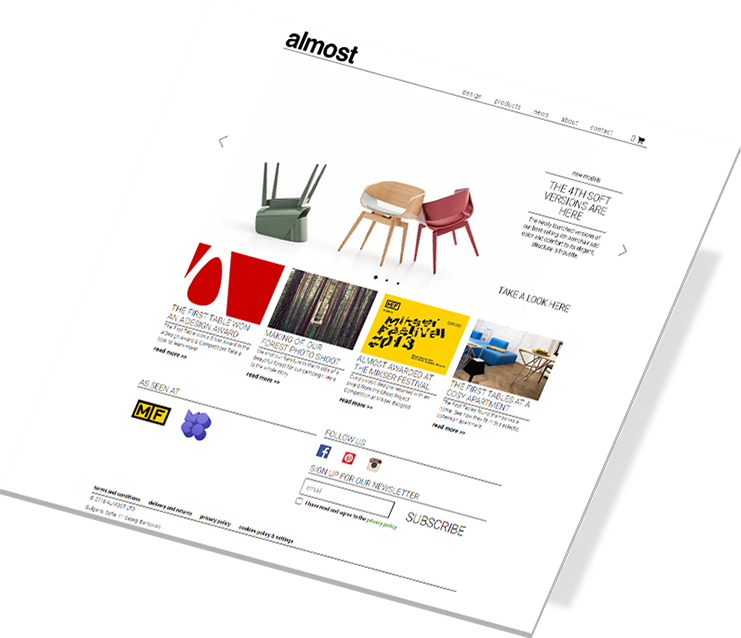 Almost is a furniture brand based in Sofia, Bulgaria. Here our task was to work on the development. 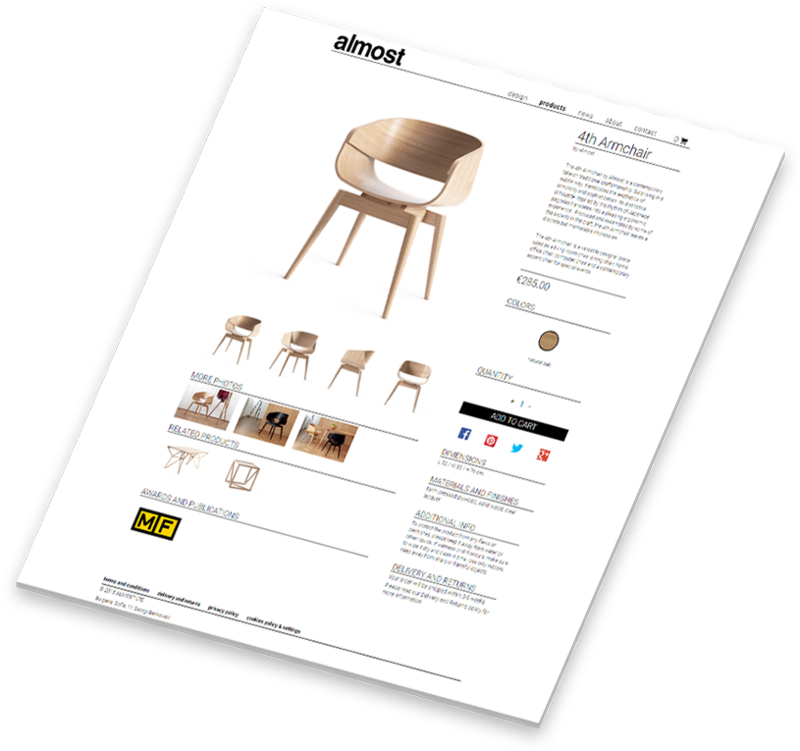 The design is simple and elegant and we are proud to say we developed it true to the previews. Representing the products in the right way is really important. Besides the main image, here we have a second image effect, you can see the chair in an interior just by hovering with the mouse.